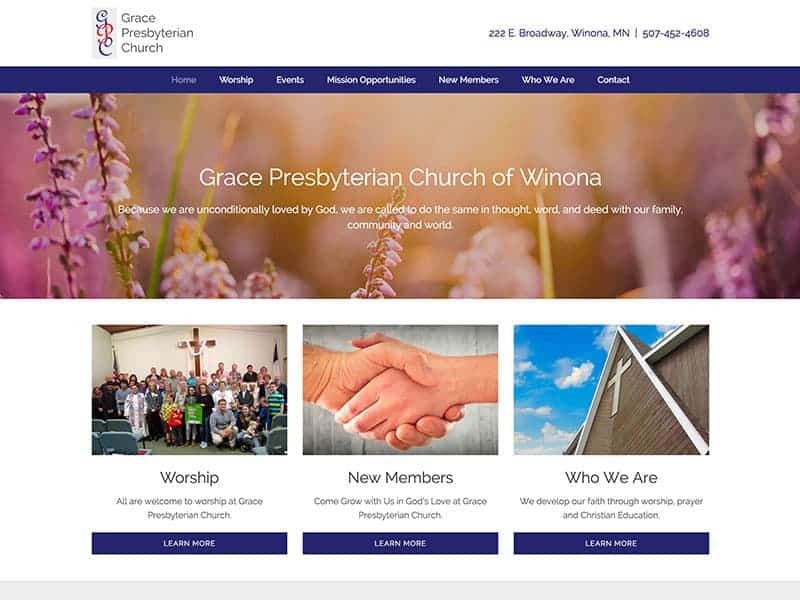 Grace Presbyterian Church has been part of the Winona community for over 65 years. First beginning in the early 1950’s, the church has been growing in their fellowship with God and sharing His love with the community. Grace Presbyterian Church has a strong, loving congregation who care deeply about celebrating their faith. The church is accepting of all people and welcomes everyone to join in worship. Grace Presbyterian Church’s new website is much more user-friendly than their previous site. The church kept experiencing technical difficulties on their old website, but the new website will be much easier to keep up to date. 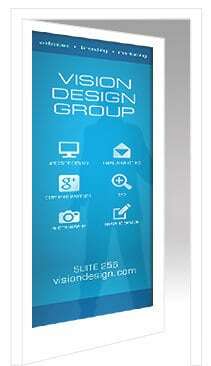 The website is very welcoming and uses soft colors and beautiful floral images to create a warm, inviting atmosphere. The website has a reorganized menu for easier navigation and mobile capabilities for easy access on tablets and smartphones. To help draw more new members into the church congregation, the home page has important, easy to find information including concise content boxes that link to the new member page, worship page, and the church’s about page. Click here to see Grace Presbyterian Church’s new website. Put your church on the map with a stunning new website! Contact our team to learn more.